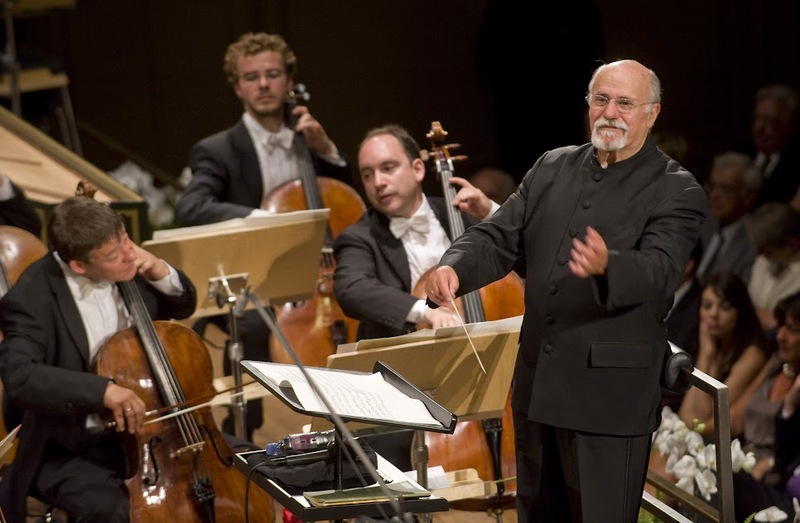 David Zinman counts as one of the great internationally-renowned conductors. As the Principal Conductor of the Tonhalle Orchestra Zurich, he is particularly conscious of the role he plays in showcasing Zurich’s musical heritage to the world. One of the things which is close to David’s heart, is the possibility of sharing music with a younger audience, which he does with great enthusiasm through the means of the well-known “tonhalleLATE-concerts”. David Zinman can now be seen on Google+! On Monday, 25 June at 4.00pm, his fans, as well as anyone who is interested in his music, can meet him live on-air at Google+ in a “Hangout on Air” event. The theme of the Hangout is “How music makes a better world”. The conversation with David Zinman will be facilitated by Marina Keller, the Director of TOZZ. TOZZ is a new platform for the provision of projects by and for young people in association with the Tonhalle Orchestra Zurich. If you would like to take part, please write and tell us your question for David Zinman. And with a little luck you will be one of the nine live participants. Even if you are not lucky enough to be chosen to take part in the programme, you can still follow the Hangout live on the Google+ Page of the Zurich Festspiele, at 4.00pm on Monday, 25 June on this link here https://plus.google.com/115319359095580767601 .